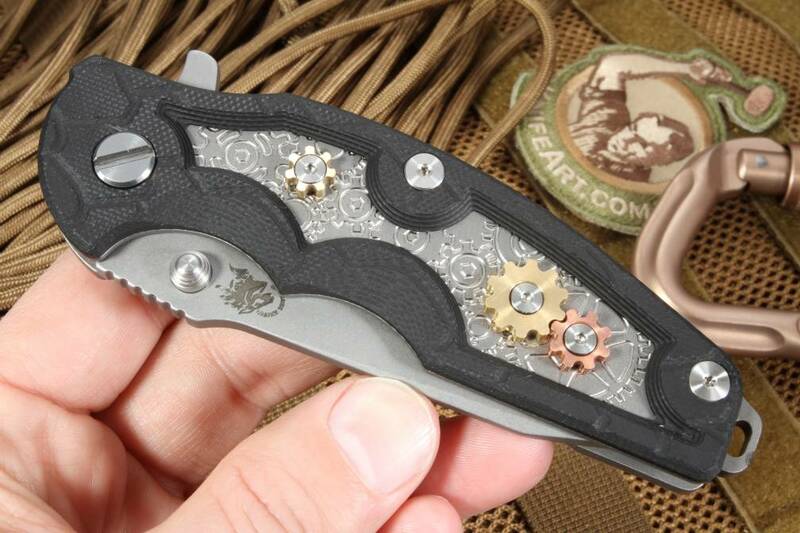 Hinderer knives Gear Theme Jurassic folding knife. 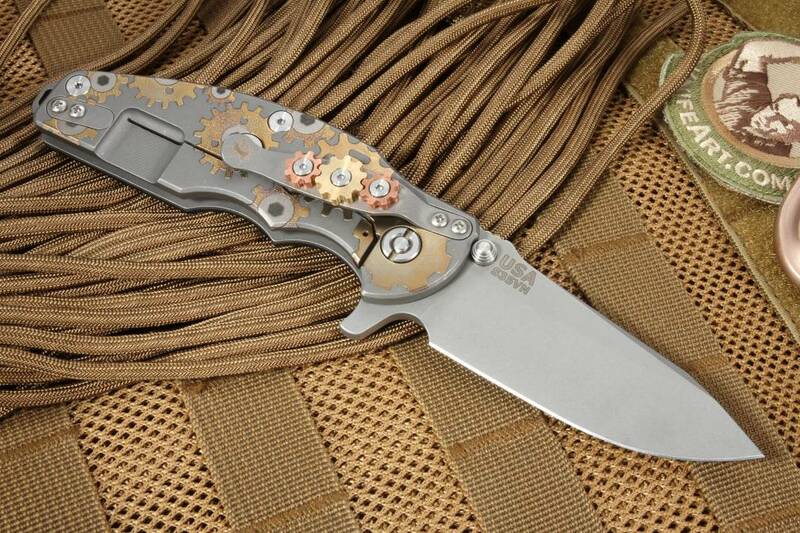 Working finish stainless S35VN blade with a dressed up handle and pocket clip. 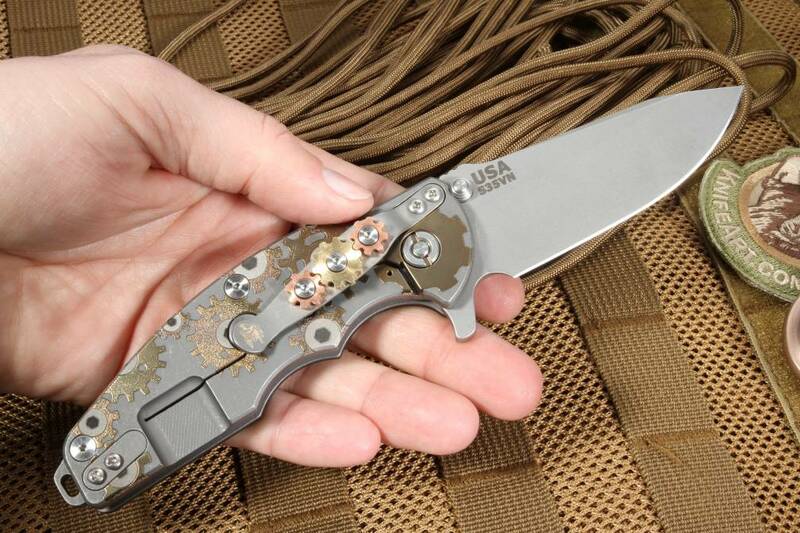 The blade features an American made CPM S35VN blade steel with a working finish. Flipper as well as dual thumb studs. Jimping on the thumb rest of the blade spine. Flipper serves as an index finger guard in the open position. 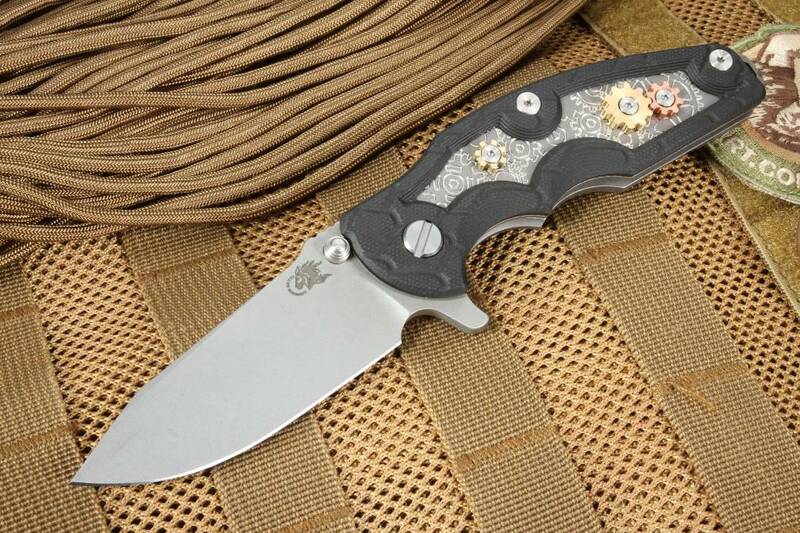 The handle features blasted and laser etched titanium with machined and textured black G-10 on the face side. Titanium spacer has an integral lanyard bale. Solid frame lock design with a Hinderer lock bar stabilizer. 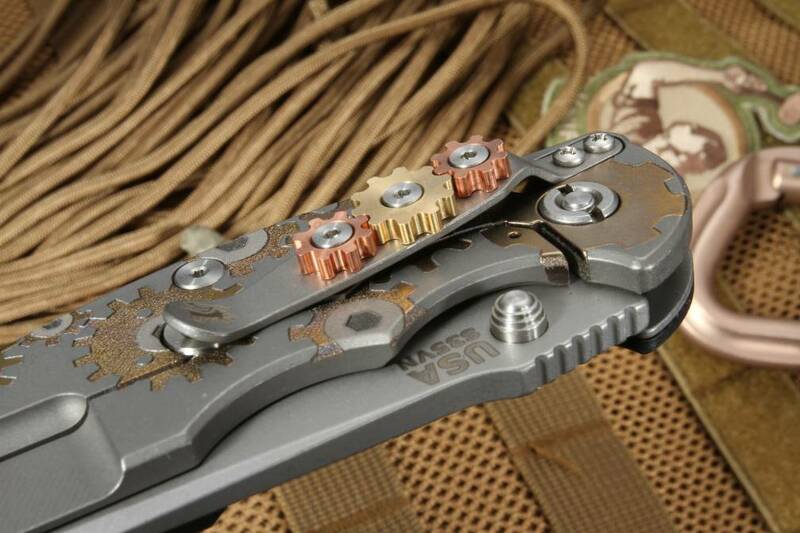 Both the titanium pocket clip and face side of the handle have gears that rotate. 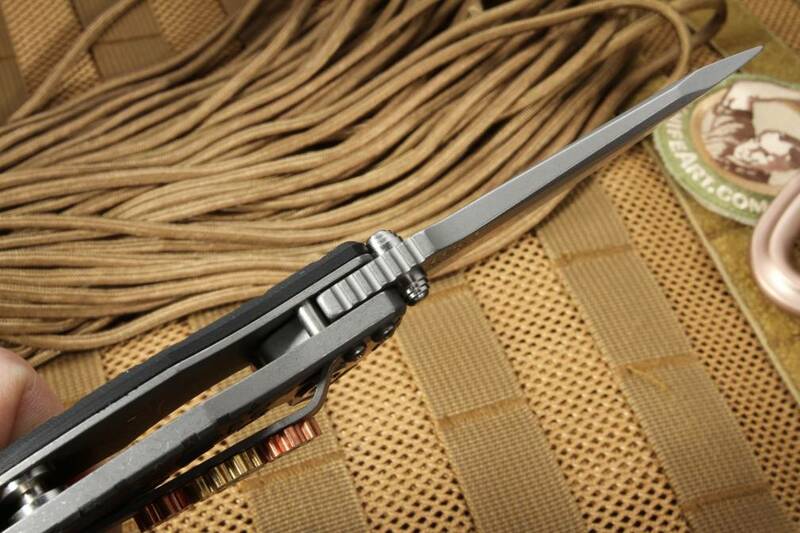 The pocket clip can be mounted blade tip up or down. 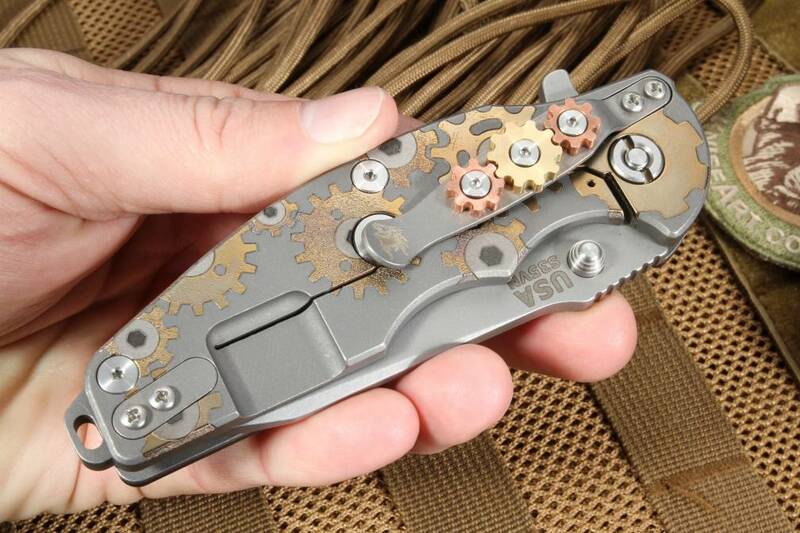 This Hinderer gear theme Jurassic folding knife is impressive in every way. 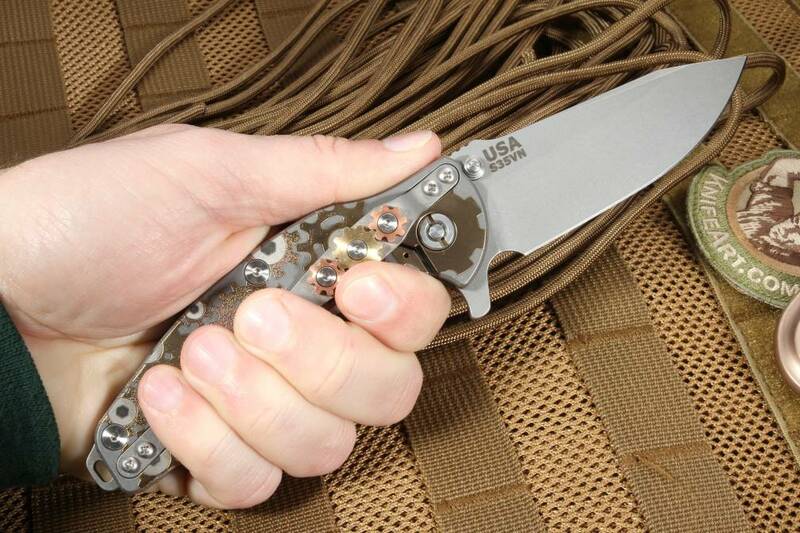 Hinderer Knives are made in the U.S.A. with pride and precision. 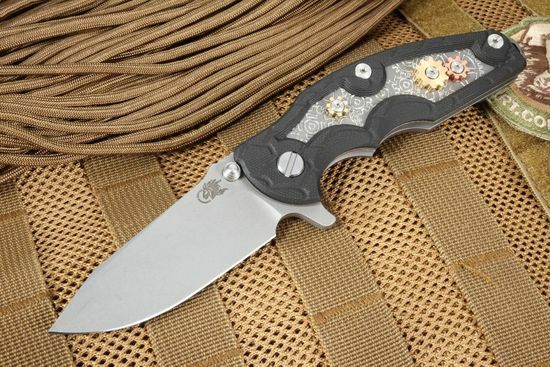 KnifeArt.com is proud to be the longest standing dealer of Rick Hinderer knives.